Shatter Me was one of my favorite books of 2011, with a coveted 10 rating. 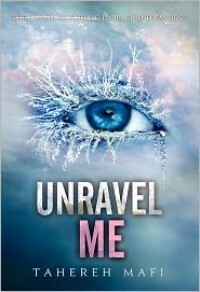 It should really come as no surprise, then, that I would pick up Unravel Me, the second book in the series. Desperate as I was for more of this series, I also read Destroy Me, the novella from Warner's point of view that bridges the two stories. 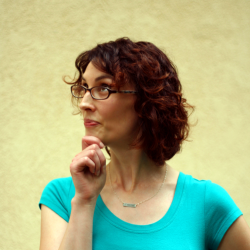 It's this novella that really changed how I felt and yes, led me to changing teams. There is so much more to Warner than our view of him in Shatter Me, and all his anti-hero potential in Destroy Me is realized in Unravel Me.Though this is a worthy second book, it didn't quite hit me the way the first did. The poetic nature of Juliette's narration is dulled, but the stream of consciousness style remains. It was okay, but I ended up looking forward to Juliette's interactions with the other characters--Kenji and Warner in particular. Those two stole the book for me, in completely different ways. Juliette was vaguely annoying. Kenji is irrepressible, his humor ever present and his drive to succeed against the Reestablishment stronger than ever. Warner is...Warner. (OH, WARNER.) Adam loses his spark somewhat. He's just... well, he doesn't play as big a role in this book, and Juliette has some interesting revelations about herself and her relationship with Adam.Um. So, in this book, THINGS HAPPEN. LOTS OF THINGS. We learn secrets. The plot thickens. We meet Warner's dad. Castle and the resistance gear up to fight. Things are going DOWN in Juliette's world. (Yes, there's a love triangle. No, I'm not all that bothered by it. Well, I'm bothered by Juliette's reaction to it, but the fact it exists does not.) I don't know that I'm still satisfying with the amount of information we have about the Reestablishment and I want to know MORE. I think Tahereh Mafi has set up the ending of Unravel Me to give us more information in book 3.I hope.Until then, I shall twiddle my thumbs, look accusingly at my calendar ("What? The next novella isn't out yet? "), and reread Destroy Me.